Ho ho ho! We hope that you've enjoyed counting down the days before Christmas with a new Bûche de Noël every morning. 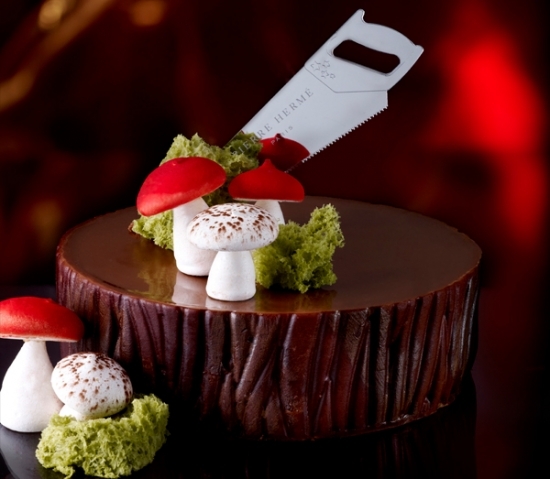 Our final cake, boasting edible fungus and a silver saw, comes from Pierre Hermé. Happy holidays, everyone!